In order to understand what these white dots are, let’s take a leap back. The time is around 1940 and the place is a rug weaving workshop, somewhere in not-yet-communist China. An expert weaver can spend months working on a single rug, tying together the lengths of yarn when the length they are using is at its end. In order to save time, most weavers would not trim the end of the knots closely, leaving small, white nubs that hide inside the thick rug. 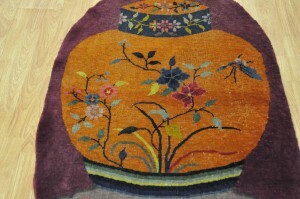 As years go by, the rug wears and gets thinner, sometimes by as much as half of its original thickness and the knots become visible, dotting the rug and damaging its beauty. This is where we come into play. 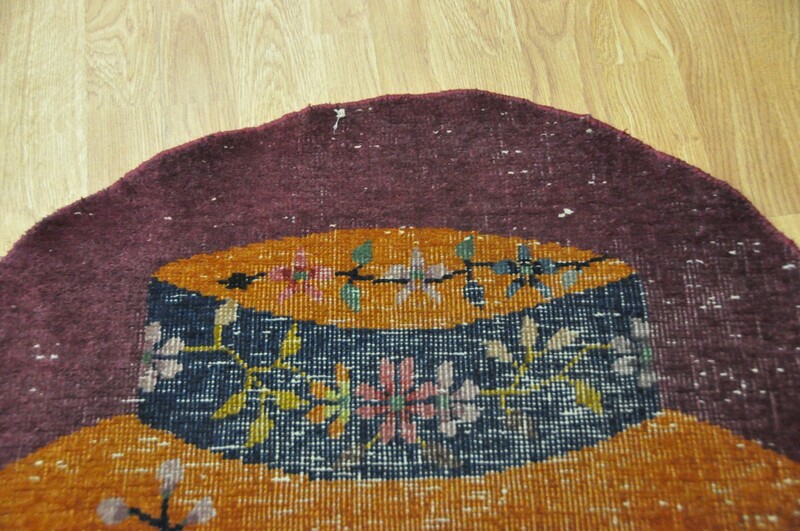 Every restoration and repair process begins with thorough cleaning: The rug was dusted and shampooed, regaining its softness cleanliness. 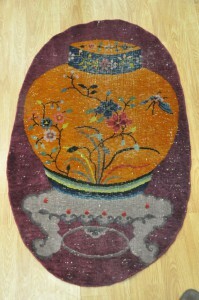 Our wool restoration team worked on this rug in three stages. First, we trimmed the end of the knots close to the base of the rug, making it tighter and shorter so it doesn’t stick out. 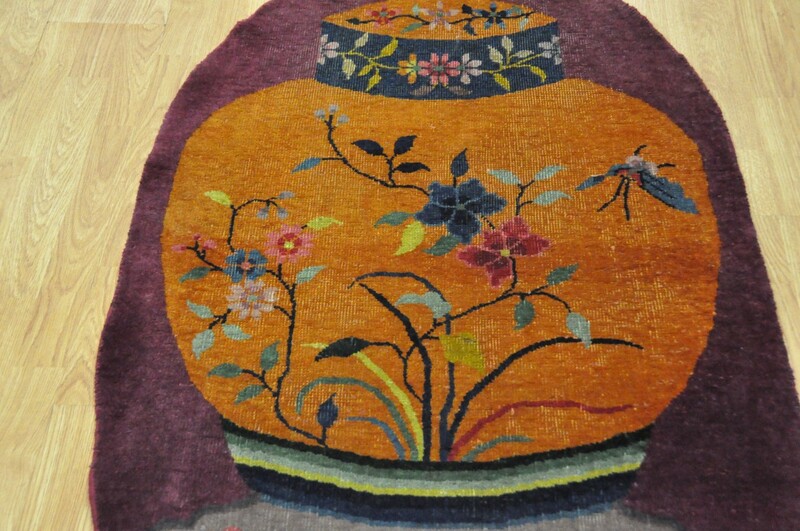 The second stage involved adding more wool to the rug, making it thicker and nicer and lastly, we colored it using natural vegetable dyes, restoring its original looks of the rug. 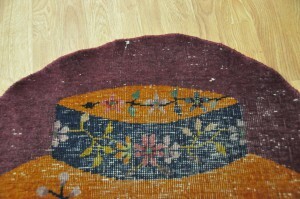 This restoration operation is just a taste of the elaborate jobs we perform regularly at Flat Rate Carpet. This kind of job takes about 5 days it costs between $370 – $440. For more information about our rug restoration and repair process and other services, call us at (866) 466-4576 or contact us using this form.